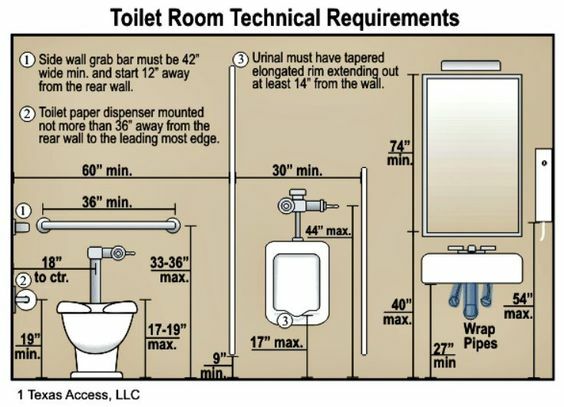 Bathroom Planning Guide Into The Most Suitable Dimensions. 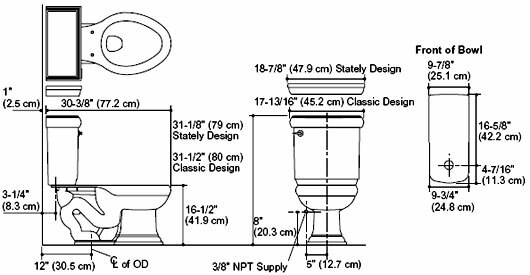 For the bathrooms that are targeted for the guests, or in the hotels, restaurants and similar, there are standard measurements the constructors use. 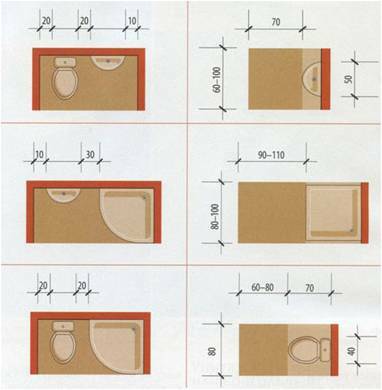 They take a standard body size and depending of the bathroom element’s size, they arrange the space in the bathroom. 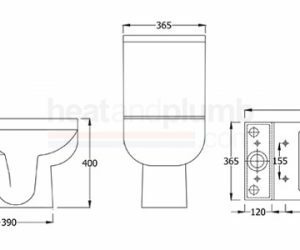 Bearing in mind the following considerations will help you to plan functional and beautiful bathroom. 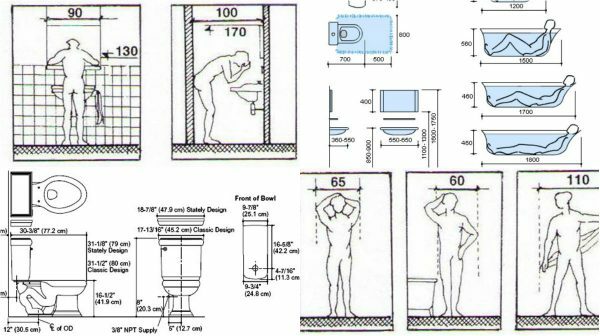 The images bellow are showing the standards and how you should use them to have the most functional bathroom for your needs.